Enugu Rangers hopes of progressing into the knock-out round of the CAF Confederation Cup suffered a huge setback following a 2-0 home loss to Tunisia’s Etoile du Sahel at the Nnamdi Azikiwe, Enugu yesterday. 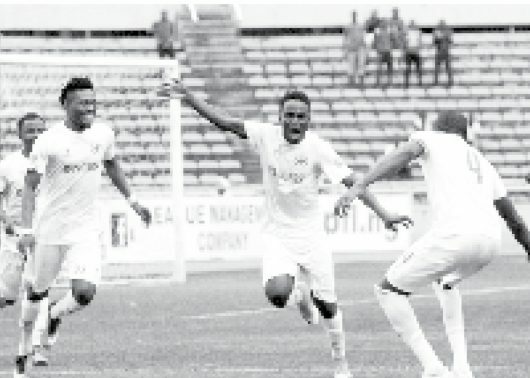 The Flying Antelopes who lost 2-1 to the visitors in the reverse fixture last Sunday were hoping to gain revenge in the contest but instead fell to another agonising defeat. Maher Hannechi put the North Africans ahead in the 19th minute after warding off the threat of the home team in the opening minutes of the game. The hosts fought hard to get back into the game but were let down by their profligacy in front of goal. Rangers fell further behind in the 69th minute after Isaac Loute conceded a penalty following a rash tackle in the box. Iheb Msakni converted the spot kick to make the points save for Etoile du Sahel. Etoile du Sahel moved to top position in the group with eight points from four matches. Rangers sit in third position with four points. The start of the second half saw the home side continue to dictate terms, but the wind was taken out of their sails when Etoile du Sahel doubled their lead after Iheb Msakni converted from the penalty spot in the 69th minute, 2-0. The Tunisian side sat back in defence after that and seemed content to defend their lead. Rangers tried to attack, but much like the first half they were wasteful in front of goal as the match ended 2-0 for Etoile du Sahel. The result sees the Tunisian side at the top of the Group with seven points from four games while Rangers are third with four points. Rangers will try bounce back from this loss next weekend when they face Salitas on Sunday, March 10. Etoile du Sahel will also be in action on the same day away to CS Sfaxien.